The death of a mother of three who went missing on a hen night is understood to have been a tragic accident. There was widespread shock as the body of Ruth Maguire (30) was recovered from Carlingford Lough yesterday afternoon. 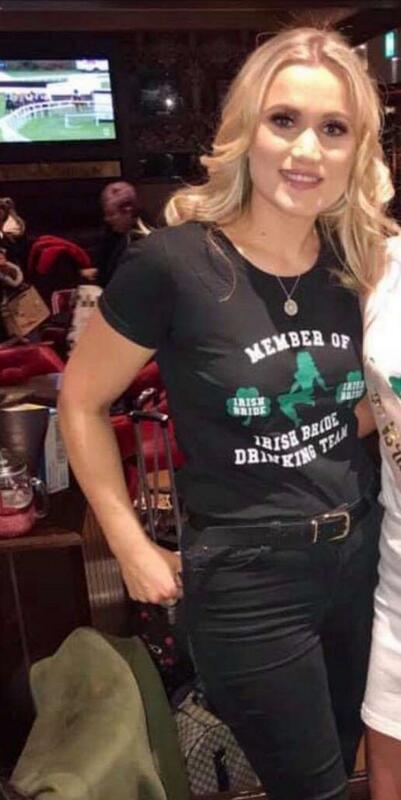 Ms Maguire, from Newcastle, Co Down, was with 32 people who were on a hen night in the popular Co Louth village when she went missing. There was great concern for her welfare as soon as it was realised she was missing because it was "out of character", according to her friends. When they returned to the house around 11.30pm on Saturday, they realised Ms Maguire was not with them. The group, the majority of whom are from Belfast, began searching for her straight away, but could not find her. It emerged Ms Maguire took a photograph outside a house that is across the road from Carlingford Lough and posted it to Instagram about midnight. As a result of that, searches began of the shore line and the lough itself, in case she had gone into the water. About 1.30pm yesterday, a body was spotted in the water between Carlingford Harbour and Greenore. While a post-mortem examination has yet to be carried out, it is understood there was nothing to suggest her death was suspicious and it is being treated as a tragic accident. George Campbell of the Greenore Coastguard, said: "I am sorry to say that a young female has been recovered and identified as the person who was reported missing. Mr Campbell thanked all of the organisations who were involved in the search for her, including Clogherhead Coast Guard and RNLI unit, An Garda Síochána, HM Coast Guard, South Down Coast Guard, Newcastle RNLI and the Dublin and Belfast operations radio rooms. The hen party had arrived on Saturday afternoon, having travelled from Belfast. Yesterday, as the search continued, many of them, including the bride-to-be, were by the lough waiting for news. The village is an extremely popular location for hen and stag parties, and one local woman said that often, people did not get their bearings before they headed out to socialise. "Everybody is very shocked here this morning," Kay McKevitt said yesterday. "It often happens that a group comes to the village on a Saturday and by the end of the night, they have forgotten which end of the village they are staying in. "They are not in the village long enough to get their bearings."